Popping in for a quick progress report on the test map props! 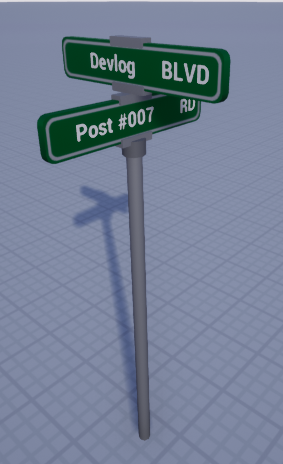 Street signs with changeable names in the editor! This will make road navigation more interesting, and I think it would be neat to name some roads after community members. 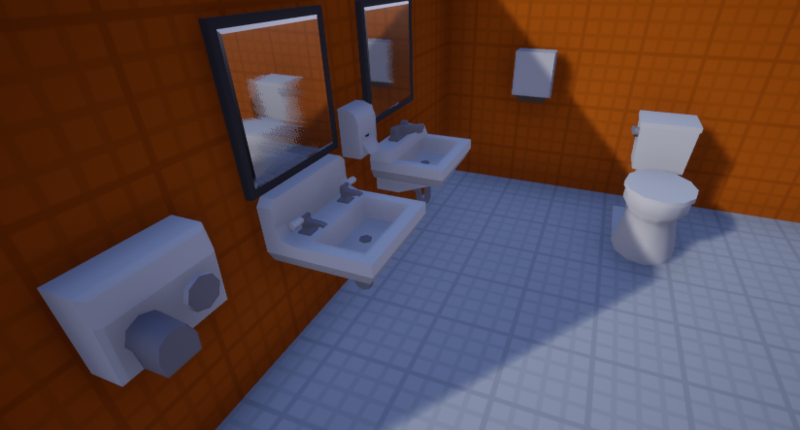 Finally bathrooms! These might have a gameplay impact eventually like scavenging for dirty water. With the greater survival focus I’ve been looking into other more realistic aspects as well such as dimensions and blueprints. Interestingly a lot of the smaller objects with real dimensions look like they could be snapped like a twig by the thick Unturned character arms, so everything’s getting beefed up. The buildings especially, in my opinion, are benefiting from architectural details and proper considerations of the rooms utility/layout. 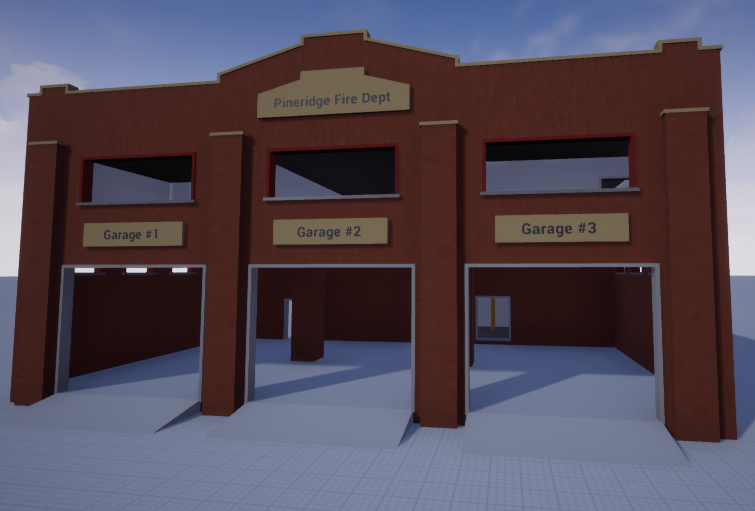 This is the first fire station sans detail props like windows. The labels are adjustable per-prop which I think will help add character, for example “Town’s Fire Station 2” with garage bay names matching the available vehicle types. I also built some randomization tools this week to speed up level design, and that’s a key element of their design for 4: randomization is a tool to help design levels, but not to replace the level’s soul – i.e. there are tools to randomly adjust color palettes, fill in window frames and doors, rotate props, etc, but not build the towns themselves.